Wool is an animal fiber that is got from sheeps and the chemical composition of wool is protein fiber. The surface of the fiber is scaly so the air can get between fibers easily which makes the wool product warm. Wool absorbs moisture very well. When wool fibers get damp they swell up and gets even more curly. It can absorb even 30% of its mass without feeling wet. When wool binds moist it releases warmth which is partly the reason why wool feels warm even though it’s moist. Wool burns weakly so it’s relatively fireproof material. Wool fiber is almost entirely protein. To fiber length impacts race of the sheep, growth rate and gaps between shearing. Fiber length varies between 25 – 400 millimeters. Wool growth is different in different parts of sheep skin but in the same part some independent fibers grow different way. Wool contains always different lengths fibers. Length of fiber material is chosen always by purpose of the use. Wool fibers are different by their diameter because it is a natural fiber. In the same fiber’s different parts the can be different thicknesses because of changes in growing process. Variations in quality of nutrition, illnesses, indoor and outdoor feeding may have an impact in variations in fibers. Wool fiber is very flexible. Wool product will be flexible also because of curliness of wool. Wool is an ecological fiber too. It can be reused and it decomposes in nature. Wool is suitable and it is used for different kinds of garments (sweater, overcoat, men’s suits, trouser, jacket suit, socks, mittens etc), carpets, upholstery fabric and handicraft yarns. Wool is also used for felting. Nowadays wool is used more seldom by itself. One or more synthetic fibers are added to wool to improve wool fiber’s bad qualities (low strength and wadding). From wool are made both rough carded yarn and fine crewel. For carded yarn are used rough wool types and from that are made sweaters and rough wool fabrics for example tweed-fabrics. For crewel are used merino and crosbred wools. Crewel fabrics are sheer, flowing and soft. And crewel is used to finest wool knitwear. See also: TU Viljandi Cultural Academy student researchworks about Estonian traditional textile and leatherwork tools. Wool is produced nowadays two and a half times the amount it was produced in the early 1900s. At that time wool was representing about 19% of world’s fiber production. Nowadays wool is produced about 1,3 million tons that represents less than three percent from fiber production. Wool can be bought from shops, internet shops, handicraft shop and other special stores. 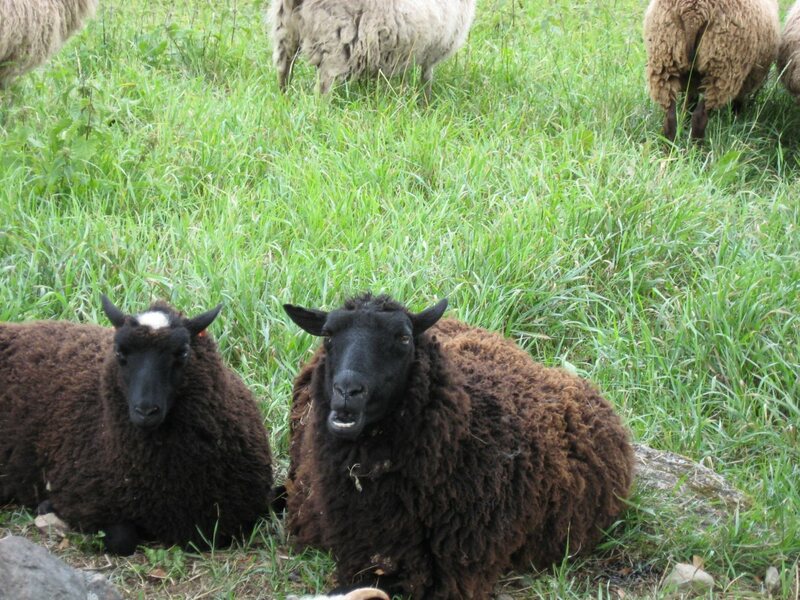 You can also get wool directly from sheep breeders or other breeders who grow fiber producing animals. Both the blog as well as other material on the webpage – with photos and articles - are worth a look.